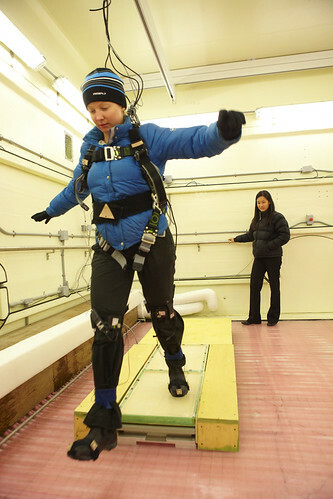 WinterLab has an ice and snow-covered floor with winds. It can be placed on our motion base to create windy and snowy ramps at various inclines. It is being used to develop improved winter non-slip footwear.